Relish the imagination on display. It’s a short film with superb, haunting animation, pitch-perfect narration of some colorfully-dramatic poetry, and evocative music. Though some of the beautifully alliterative phrases go by a little too fast to sink in, the animation makes it all clear, and the entire poem can be read at the film’s website. 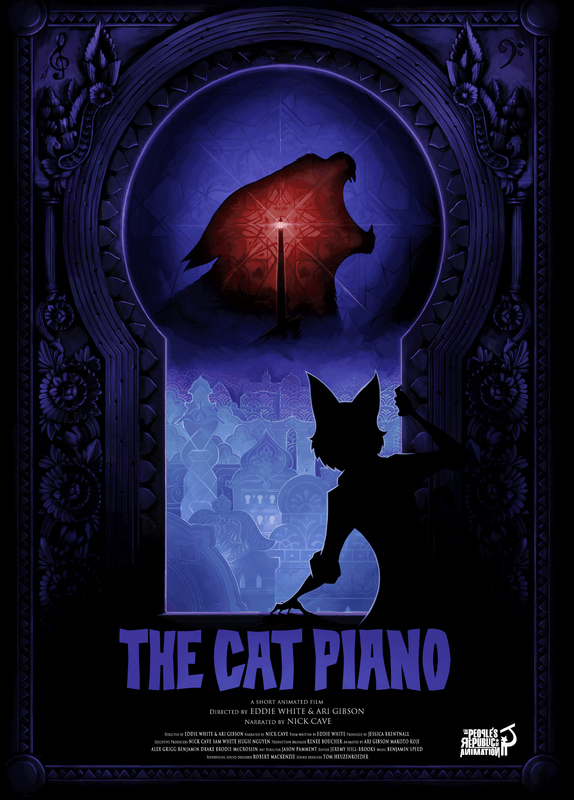 A dark blue noir fantasy, with cats, and some perfectly-evocative music. This may be my favorite short film of all, thus far.